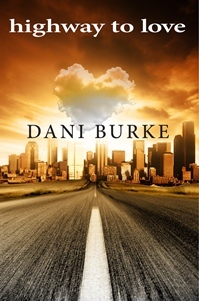 Highway to Love by Dani Burke will be available soon for your reading pleasure. As most of you know, this manuscript has been a few years in the making, and I hope you will enjoy reading it as much as I have enjoyed writing it. When published, it will be available thru me or at Amazon.com and Barnesandnoble.com. My hope it that you will enjoy the characters I have created and their story to find love. Soon-to-be-married Alexis Parker and her flirty friend, Stephanie Bradford, find more than they dreamed of when Alexis’ Lexus sputters and dies on a Chicago expressway. The hilarious and disconcerting events that follow introduce both of them to construction workers Joe Baker and Mike Murphy. Readers bounce up and down on their bumpy road to love. Stephanie Bradford’s attraction to Joe Baker initially blinds her recognition of Mike Murphy’s charms. When Joe and Alexis arrange a “by chance” meeting, their romance is kindled. Alexis Parker’s engagement to Richard Churchfield causes her to ignore his selfishness and personality flaws and repeatedly question her attraction to very generous and noble Joe Baker. Highway to Love takes the reader on a pothole-filled journey as Alex repeatedly denies Joe’s love and her own feelings. Joe possesses the extraordinary patience of a man in love. His kind and charismatic friend, Carolyn, often shares her feminine perspective with him along the way. As Alex’s emotional and moral beliefs are tested, she is forced to create a new and more appropriate definition of true love as she sprints to the finish line. Please check back often. The blog will keep you updated on my publishing progress, targeted for this summer. I’ll also let you all know when it is in print! Please pass the word to all of your family and friends. 6 Responses to "Coming Soon – Highway to Love by Dani Burke"
Dani, I am so proud of what you have accomplished. I had no idea of your talent and can’t wait to read your first of many novels. CONGRATULATIONS! I am in awe of you Dani – way to go and I can’t wait to read your book!!!!. Let me know when I can buy it. But really, ugh, I dated a Mike Murphy… I’ll have to read to see if they have anything at all in common… Peace, and best wishes!! Laura.